We have just returned from a 2 days trek with Thomas and the team. The trip has been truly epic, in the top 5 most defining trips of my life! We have been lucky with the sunny weather, and with the group which was full of interesting people. However what made this trip genuinely special is the guides, their attention to details, kindness and their knowledge on the hills! We always felt 110% confident we are in the best possible hands! The top 5 most defining trips of my life! Will you walk a lot? Yes!! Will you be tired? Absolutely! However with these guys you guaranteed to have fun for the whole trip, and you will probably feel bad at the end of the day that it is over - at least we did. And I am sure you will have some new friends at the end of trip! 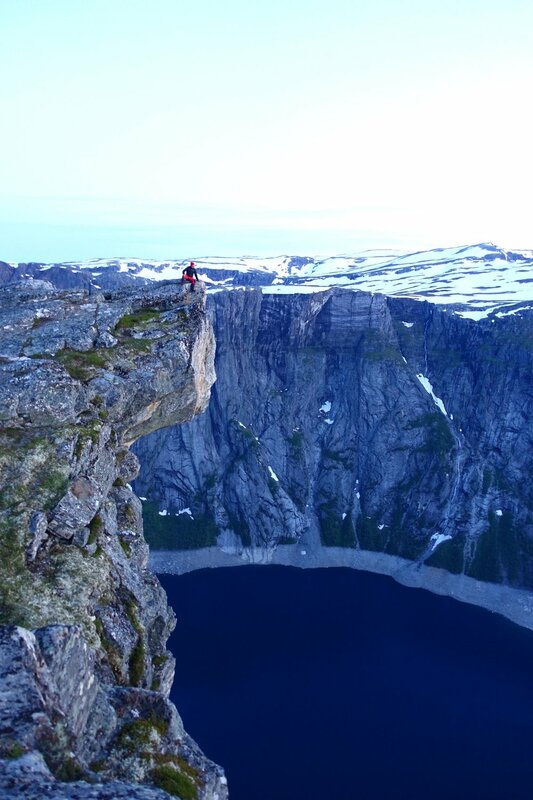 Zsolt’s photo from Preikestolen close to our Trolltunga Adventures Wilderness Camp.